William O. Haff leaves the John Wood Federal Courthouse Thursday March 31, 2016. Haff pleaded guilty to conspiracy to commit wire fraud stemming from an F.B.I. public corruption investigation. 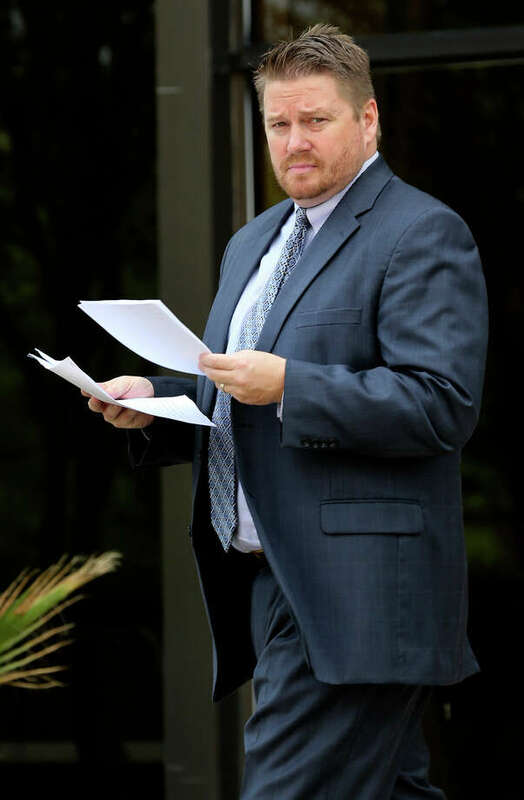 William Oliver Haff, 46, of San Antonio admitted that while working for the consulting company hired by the school districts — Wortham Insurance and Risk Management — he was also getting paid on the side by an insurance agent/broker so its clients would land contracts to provide employee insurance there. After months of public frustration, Anthem sued Express Scripts Monday for more than $15 billion. Anthem argued the St. Louis-based PBM did not share enough drug savings with Anthem, which led to “an obscene profit windfall” for Express Scripts, according to a copy of the lawsuit (PDF). How Much are Doctors Paid by Drug Companies and Medical Device Makers? The Open Payments Program creates a national database of payments made by pharmaceutical companies and medical device companies to doctors and academic medical centers. How refreshing to find a hospital that quotes package prices in advance and is willing to compete for patients based on price and quality. Why are they doing it? For the simplest reason of all: to attract patients. “Narrow networks are simply an aggregation of health caregivers willing to earn less. For example, if Dr. Jones wants $250 for a routine office visit while Dr. Smith wants $55, and if Hospital “A” wants 450% of Medicare while Hospital “B” will take 115% of Medicare, guess which providers are invited to join these narrow networks?“- Homer G. Farnsworth M.D. Texas providers and hospitals are taking full advantage of the benefits of technology, and it’s yielding results…………. Interesting statistics from Segal Consulting. For example, 20% of clients purchase SSL of $500,000 or more. From the founding of the Republic, Americans have joked about the poor handwriting of physicians. Well, all the Americans except the ones who got the wrong medicine because pharmacists misread handwritten prescriptions. Healthcare and Guns; What Do They Have in Common? Am I being denied my right to bear arms if I can’t afford the price of a handgun? Life Partners – Historic Fraud? Edinburg Consolidated Independent School District (ECISD) and Doctors Hospital at Renaissance Health System (DHR) are proud to announce the creation of the Edinburg CISD School Based Health Center, a facility dedicated to the healthcare needs of our students, families, and employees. Insurance fraud is rampant in health care. For example, we have found numerous instances where nephews, nieces, grandchildren, live-in girl friends and others are added to health insurance policies that are never audited. Dependent eligibility audits should be performed by plan sponsors. Onsite health clinics are rapidly becoming the hottest trend in population health. Fairfield County School District in Ohio became the first suburban school system in the country to offer health, dental, vision and mental health services in a single location. Weslaco ISD To Consider Settlement With Aetna? The Weslaco ISD vs Aetna & Robert J Garza lawsuit is a fascinating read. The original pleadings are worth reading for those students interested in peeling back the onion of the opaque world of health care costs. Everyone understands there are inequities within our health care delivery system. Will stringent government control be expanded to confront health care discrimination? “I’m afraid by imposing that DOL ERISA fiduciary duty [on brokers] that you will have people exit that business,” Champ said. “Brokers will say that ‘I can’t deal with this.’” The rule will “drive advice out of that space,” he said. The Employee Retirement Income Security Act’s reporting requirements trump those of individual states, including a Vermont requirement that self-insured employee health plans must report claims data, the U.S. Supreme Court ruled Tuesday in a victory for Liberty Mutual Insurance Co.
Pay Less With Cash or More With Insurance? Cash pay health plans are catching of fast. Hospitals are taking note…….